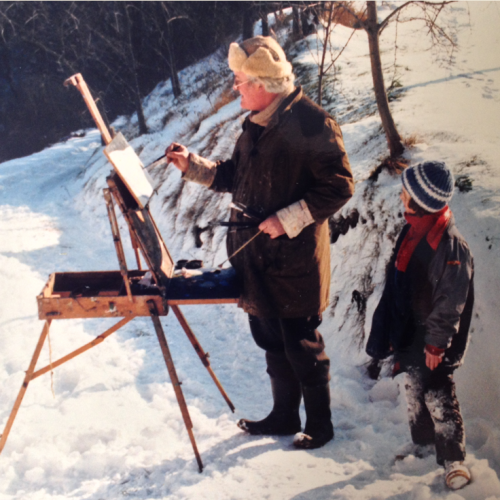 DOUGLAS ANDERSON RP was born in 1934, and having shown a keen interest in the paintbrush at the age of 3, he sold his first painting to a London gallery at 12 years old. In 1955 Douglas moved to Italy and studied portraiture with Pietro Annigoni in Florence. At the age of 27 he became the youngest member of The Royal Society of Portrait Painters. He has travelled extensively painting portraits around the world. In 1979 he held his first exhibition of wildlife paintings at The Tryon Gallery, London, followed by numerous exhibitions at Oscar & Peter Johnson, Ackermann & Johnson London, as well as exhibitions in Edinburgh, Stockholm, Gothenburg, Florence, Munich and Dublin. He continued to paint portraits and wildlife in alternate years, and his works are held in collections worldwide.